Cooper: Trump says he's a nationalist! President Donald Trump speaks during a campaign rally on Monday for Sen. Ted Cruz, R-Texas, in Houston. President Trump referred to himself as a "nationalist" recently. You may have seen or heard a word or two about it. The left, not surprisingly, lost its grip over use of the term because it has never bothered to see the president for who he is — an outsider, not a Beltway lifer, an exaggerator, not a precise speaker, an inelegant phraseologist, not a polished politician. Trump, in his remarks, meant only he was a nationalist as opposed to a globalist, that he put America first, that he believed in the country, that he was patriotic. In his words, he said later, he is "somebody that loves our country." Though Trump is no Ronald Reagan, one could almost see — in the meaning of the president's words — the Gipper making one of his speeches in which he invoked American exceptionalism, where he reminded Americans they could do anything, where he cocked his head and crinkled his eyes and talked about "the shining city on a hill." The current president, even as a candidate, made no bones about his vision. In a foreign policy address in April 2016, he said, "My foreign policy will always put the interests of the American people and American security above all else. It has to be first. Has to be. "That will be the foundation of every single decision that I will make. "America First will be the major and overriding theme of my administration. We have a lot to be proud of. "We must develop a foreign policy," he said, "based on American interests. I will view as president the world through the clear lens of American interests." "From this moment on," he said, "it's going to be America First. "Every decision on trade, on taxes, on immigration, on foreign affairs, will be made to benefit American workers and American families. "We will seek friendship and goodwill with the nations of the world — but we do so with the understanding that it is the right of all nations to put their own interests first. "At the bedrock of our politics will be a total allegiance to the United States of America, and through our loyalty to our country, we will rediscover our loyalty to each other." Trump's words adhere closely to a Merriam-Webster definition of "nationalism": "a sense of national consciousness exalting one nation above all others and placing primary emphasis on promotion of its culture and interests as opposed to those of other nations." Individual Americans can agree or disagree with what he said, with his point of view, with what he believes is the best route for the country, but no one should mistake where he stands. And yet, nearly two years after the words of his inaugural address, the left still wants to paint Trump in its own colors, where national pride and patriotism have become something to be ashamed of, where an America taking care of itself not to the exclusion of others but in a course correction of self-examination is somehow wrong. Nationalism, to the current left as it is structured, is xenophobia, racism, tribalism, Nazism. But it wasn't too long ago — this year, in fact — that left-wing pundits were suggesting their side needed to re-embrace nationalism. "Progressives," proclaimed a subhead in a February article in far-left Vox, "haven't always been allergic to nationalism." President Franklin D. Roosevelt, a Democratic god, said his New Deal policies were an attempt to create "a safer, happier, more American America," the article noted. His methods, Roosevelt said, were "the American thing to do." "[W]hat is needed," said an August New York Times op-ed by Vanderbilt University professor Jefferson Cowie, is "a reinvigoration of 'civic nationalism' or civic republicanism." With the complications of globalism, it opined, "the full mosaic of the American working class has long been looking desperately for routes to make America great again. "Voters," Cowie said, "are in search of a place of vision for average Americans, a place of idealism in an age of cynicism, a place of unity in a time of fracture and a place where policy can be embedded in something greater than technocracy." Neither the Vox article nor Cowie were stumping for more Trumpism, but they at least understood an American need for the "nationalism" to which Trump later referred. Had we been the president, we probably would have selected a different term than "nationalism," given where the left has hijacked the word. But if the nation has learned anything at all about the president, it's that he doesn't appreciate convention, isn't always scripted, doesn't always self-edit his remarks. 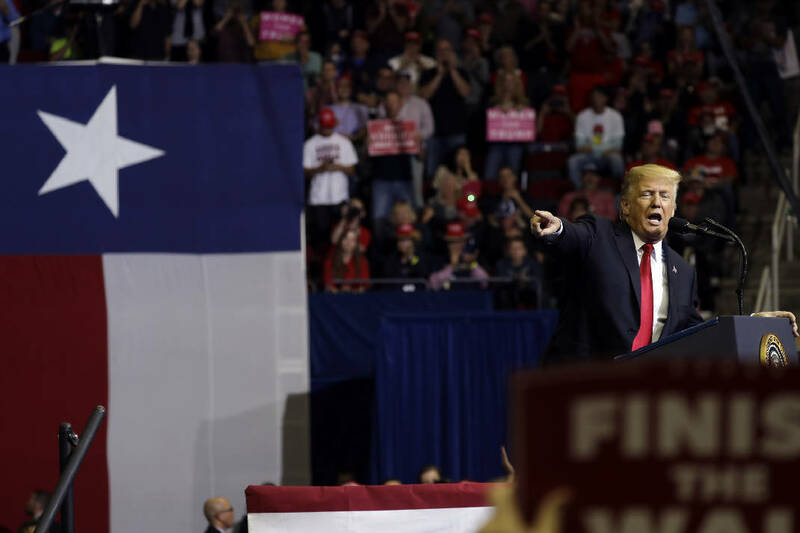 So when Trump told a Houston rally for U.S. Sen. Ted Cruz Monday that he was pulling out a word that "sort of became old-fashioned," a word "we're not supposed to use," he dared to utter the N-word — "nationalist". His supporters remembered what such an America looked like — where politicians weren't attacked at restaurants, where mail bombs weren't sent to office-holders, where parties compromised on legislation, where people didn't look to the government for every solution but looked within themselves. They knew what he was talking about. And maybe with time others can learn.